Photos. Texts. Emails. Video. Digital is a pivotal part of our daily lives. So what if we stopped using it? Brian Solis, the author of Lifescale: How to live a more creative, productive and happy life, wants us to think hard about our digital distractions and drop them from our habitual behavior. As digital marketers, this notion sounds antithetical to our mission. But Brian promises that disconnecting is beneficial to marketers as well. 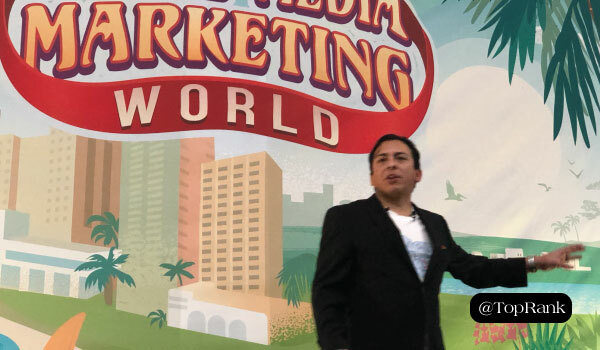 Below, I share Brian’s thoughts on digital distraction and business from his session at Social Media Marketing World 2019. “My ability to be creative, to dive deep, to focus, to give myself time away from my device, was not only difficult but impossible,” Brian said. In fact, this inability to tune out the noise and focus prevented Brian from finishing his eighth book. Now, Brian isn’t suggesting that we stop using technology. He’s just suggesting we use it in a different way. Instead of using it for productivity, Brian suggests using our devices for the purpose of creativity. If we’re able to put our devices down and truly ignore the notifications, we can focus on the tasks that are important. It will improve our output in quality and quantity. How we currently use digital devices isn’t healthy for us. Brian pointed out that an astonishing 41% of people have had an accident relating to our smartphones. There’s a new health concern called “selfie wrist.” Plus, depression and anxiety are on the rise among teenagers, the world’s most avid social media users. “As with cigarettes in the early days, we didn’t understand that our digital indulgences were made to be addictive, and we didn’t have information about the health effects on our bodies, emotions, and psyches,” Brian said. He then added: “Living our best life isn’t really living at all.” It’s just posturing. Getting over our digital distractions boils down to one thing: Awareness. If we’re aware of our dependency on the digital world, we’re more empowered to do something about it. We can make more intentional choices about how to avoid these distractions and stay focused. Knowing how often you’re taken away from your work is a good indicator of how much creativity you’re losing. This also allows you to make more noticeable improvements in your work, life, and mental health. Write. Draw. Paint. Play guitar. Sing. Creativity is like a muscle that needs to be worked. So just like you workout at the gym, you need to make time to be creative. And it’s not about talent, it’s just about expressing yourself. It’s about being happy, mindful, present, and intentional about how you spend your time. Block off time to be creative and block off time to check email, respond to tweets, etc. Just make sure you don’t mesh the two. To do our best work, we need to be our best selves. And digital distractions take us away from the creative activities and ideas that make us happy. As a result, digital distractions make it impossible for us to focus on the things that really matter in life and instead take us out of the moments we’re living. Hear more of Brian’s thoughts on creativity and digital distraction by reading our full interview with him. Marijuana news 2018. Marijuana domain names for sale….